Going inside of random holes you know next to nothing about is rarely a good idea. In fact, that’s basically the whole premise of Silent Hill 4 and you know nothing good ever happens in those games. But who knows, maybe if you found the right hole instead of being transported into another dimension full of supernatural beings that want to kill you, you might find another universe where everything tastes like cupcakes and bacon. 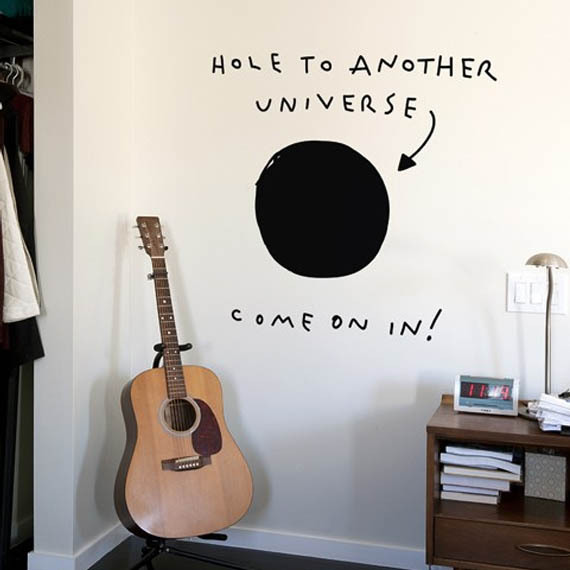 If you’re willing to take the risk then feel free to put up this Hole To Another Universe wall decal by Dan Golden.